Ethical Fashion has been making the news as the Green Carpet Challenge (Livia’s husband Colin won just a few awards this season!) has just come to an end. 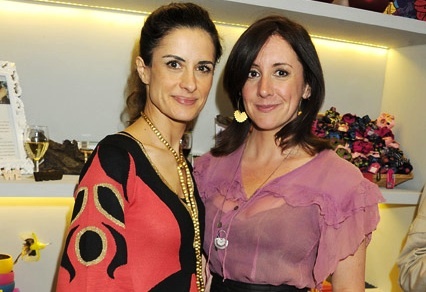 It seems like a good day to share the futures of Noi Collective (Noi meaning us in Italian); film producer/entrepreneur Livia Firth, fabric specialist/ethical stylist Jocelyn Whipple, journalist/TV presenter Lucy Siegle and designer/Estethica Founder Orsola de Castro. The four ladies were behind the 12 Degrees of Fashion exhibit at Eco Age back in 2009, since then they have undertaken other great ecofashion endeavours such as the Upcycling Live Challenge at the Start Garden Party. Each of these inspiring women shared with Think Act Vote, the future that they each choose, and have offered their support and time to our campaign, Jocelyn was also a judge for our T-Shirt design competition. What Future Do You Choose? Share yours with us online. And if you want to find out more about ethical fashion, come to a free event at the Museum of Childhood this evening. It’s called Ethical Fashion in an Age of Austerity, and will feature a talk from Jocelyn Whipple of ethical wardrobes on a budget, Lucy Siegle will be alongside Think Act Vote founder Amisha Ghadiali on the panel discussion, Amisha will also be doing a talk on Think, Act Vote where politics meets fashion, and there is a whole range of other activities, talks and a market place. If that is not enough, the Think Act Vote photobooth will be there too! Find out More – Here.